Yes, today is the first day of 2013. A new year. We are however still in the Chinese year of the Water Dragon. I was born in the August, 1976. 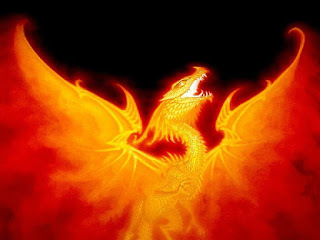 That is the year of the Fire Dragon. It is an extremely lucky sign to be born under. Every 12 years, there is a year of the Dragon and I amuse myself with how lucky I will be that year. What I am saying is that since I believe it is my year and that my year will be full of luck, that gives me a positive view of the year. Maybe I subconsciously approach it in a different way that makes me a little bolder (yes, it is possible). Then I boldly go where no Mana has gone before. As a Fire Dragon in the year of the Water Dragon, I knew it would get steamy and it did. The year was full of winning moments. There was so much propulsion that many things happened that I had to stop and take in later. Today as I sat in the Jolly Mont Centre waiting with a good friend catching a Murray's bus home after visiting me in Canberra, I joked about being easily amused by silly jokes and small wins. I said that I would always be happy because it didn't take much to make me so. That is a key to happiness. Not needing something giant or overly important or drop dead hilarious to make your day. Laughing at myself and wonderful little moments is a sign that this dragon has enjoyed the steamy year. In the upcoming year of the Water Snake, I shall let my Fire Dragon embrace the eel like year which is said to be the best year in which to start again. I choose to start a new chapter and make it the best one so far.